Wednesday was a dry day across the Stateline, but don't get used to it. 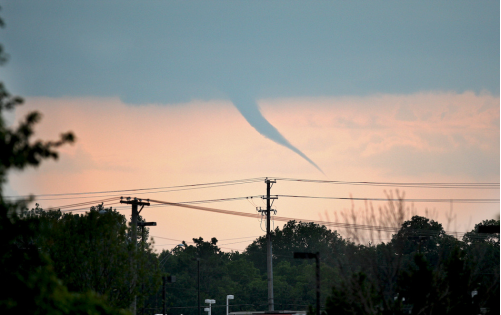 More storms are right around the corner. Thursday will be our next chance for showers and storms. Storm chances will be slight in the morning, but increasing throughout the day with our best chance for stormy weather arriving Thursday night. Friday will see more scattered showers and storms with the heaviest rain holding off until overnight Friday and into Saturday. Rain chances will drop significantly for Sunday with a few more storms possible on Labor Day. 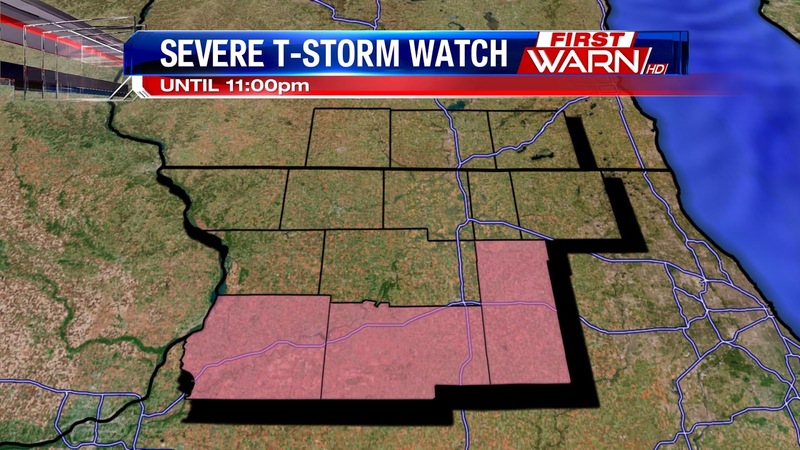 3:40pm Update: Severe T-Storm Watch for Whiteside, Lee, and DeKalb until 11:00pm. 3:00pm Update: Severe T-Storm Warning reissued for Whiteside until 4:00pm. 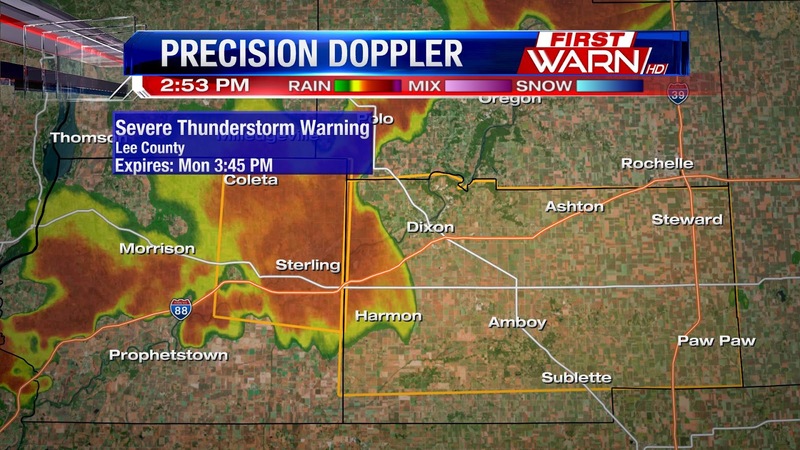 Nickel-sized hail and 60mph winds possible. 2:50pm Update: Severe T-Storm Warning for Lee Co. until 3:45pm. 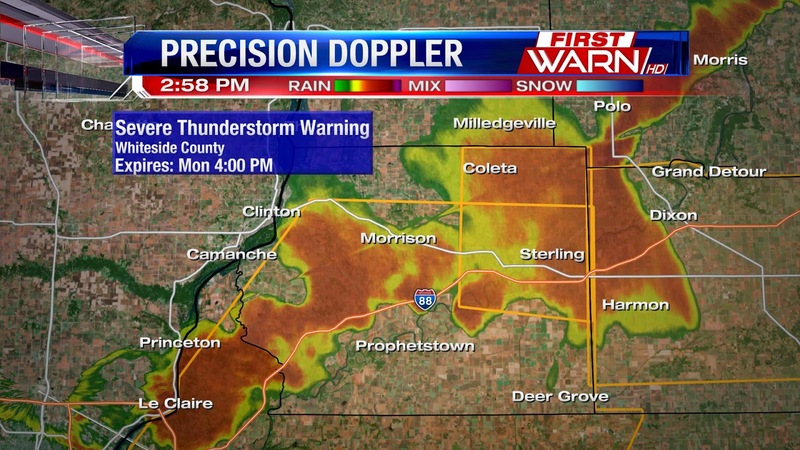 Penny-sized hail and 60mph winds possible. 2:15pm Update: Severe T-Storm Warning for Whiteside until 3:00pm. 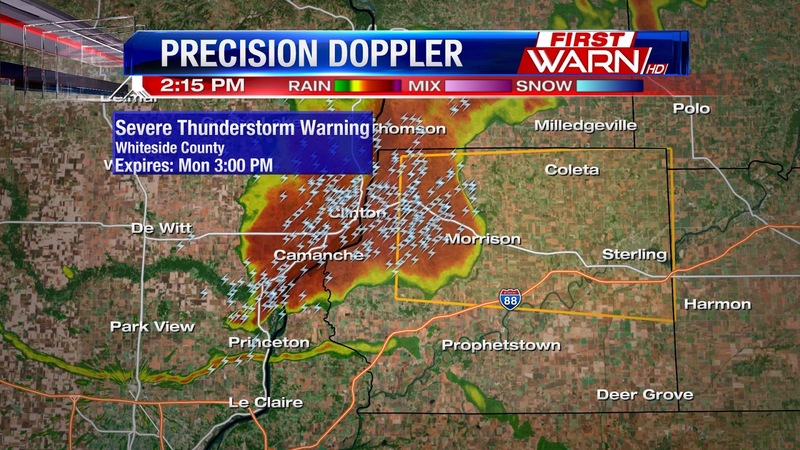 Penny-sized hail and 60mph winds possible. 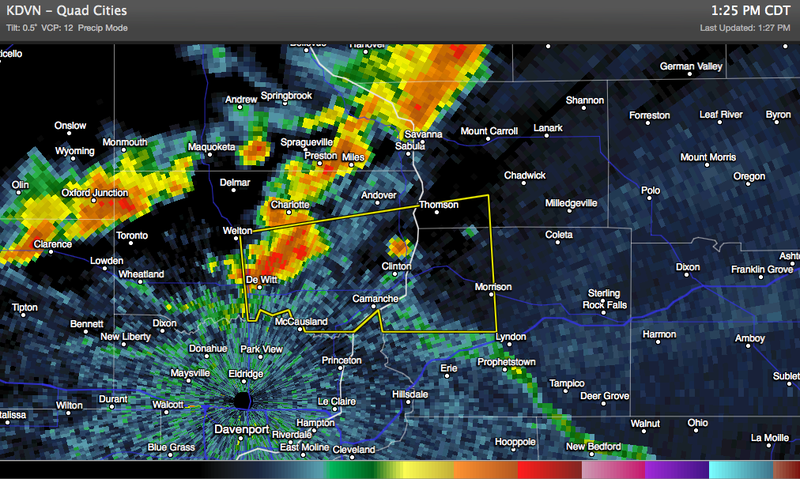 1:30pm Update: Severe T-Storm Warning for southwest Carroll and northwest Whiteside until 2:15pm. 60mph winds possible. We haven't seen it much this summer, but the heat and humidity we're used to this time of year will be returning to the Stateline starting Thursday. The latest forecast has the brunt of the heat and humidity arriving Friday and Saturday. Actual temperatures will be around 90°, but the heat index will make it feel closer to 100°. If you're a fan of meteor showers, Tuesday night is your last chance to catch a glimpse of the biggest meteor shower of the year: The Perseids. Fortunately, the weather will cooperate for seeing any meteors. Tuesday night's forecast is calling for mostly clear skies. Grab a jacket, though. Overnight lows are expected to dip into the low 50s (and maybe even the upper 40s in a few rural spots!). 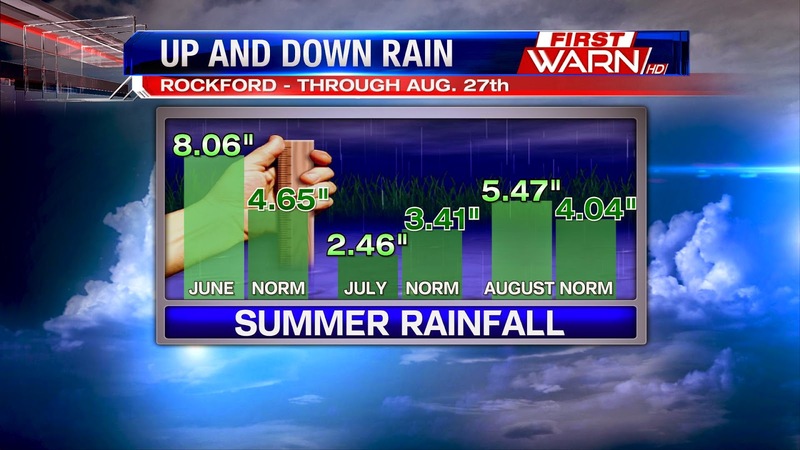 While we posted earlier that this July ranked in at #3 for the coolest July in Rockford on record,what about the rest of the United States? Thirteen states saw July in the top ten coolest Julys on record, while Arkansas and Indiana both saw their coldest July on record. Below-normal temperatures stretched from the Great Lakes and the Midwest, through the Mississippi River valley, and even into parts of the Southeast. 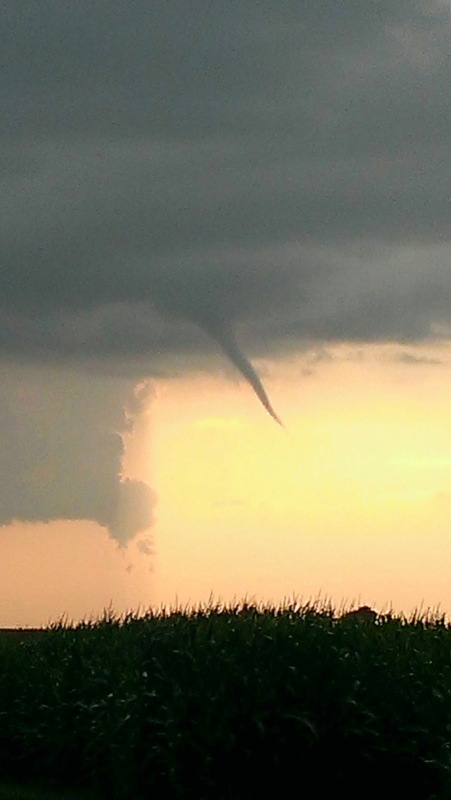 There were twice as many record cool temperatures in July than record warm temperatures with the majority of the record warm temperatures being warm nighttime temperatures, and the record cool temperatures were cool daytime temperatures. No, this post isn't about a bad sci-fi movie. It's about all the things stargazers have to look forward to starting Sunday and heading into next week. The first thing we'll be keeping an eye out for is Sunday night's Supermoon. The Supermoon is when we have a full moon at perigee, or the spot in the moon's orbit when it's closest to the Earth. Sunday's Supermoon will be 14% closer and 30% brighter than normal full moons. Sunday night also marks the start of the peak of the Perseid meteor shower. The Perseid is by far the biggest meteor shower of the year. But there's a problem: The Supermoon's extra brightness could block out some of the meteors we would normally see this time of year. 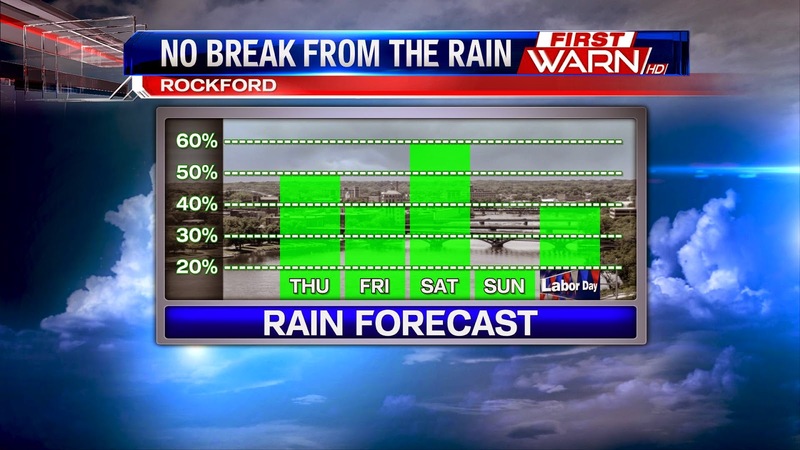 It's been a cool summer across the Stateline and here in Rockford as well. This July ended up tying for the 3rd coldest since we started keeping record, about one hundred years ago. The average high temperature for the month was 79.2° which is 5.3° below normal. The average low was 59.1° which is 3.9° below normal. Overall, the average temperature for the month was 69.1° which ties for the 3rd coldest. 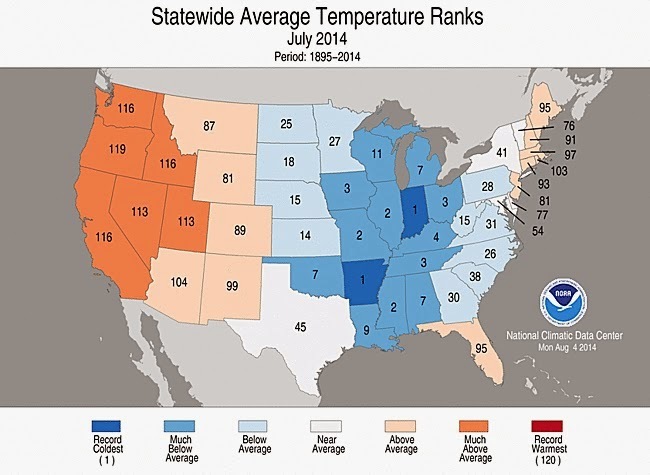 The coldest July was recorded in 2009 when the average temperature was 67°. There ended up being only one 90° day in the month of July this year, and that was only the second time we hit 90° this year. Normally we see about six 90's in the month of July. As we look ahead this week and even peeking at next week it looks as if we will continue the trend of below normal temperatures. 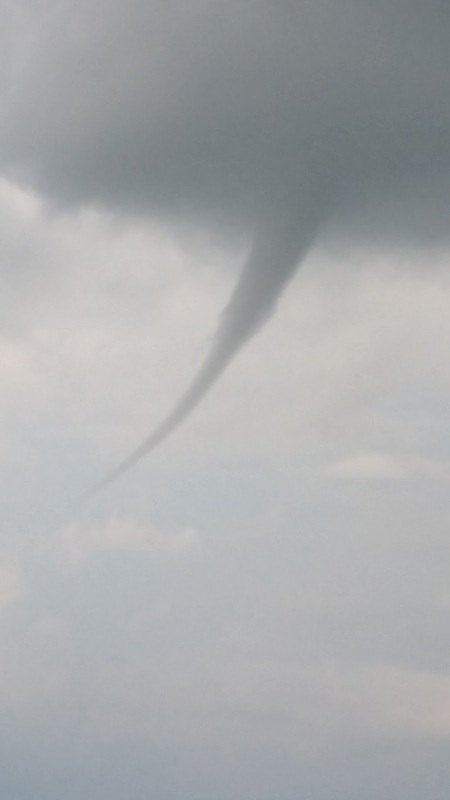 Although no reports of any touchdowns were reported, last night's storms did have enough rotation aloft to produce various funnel clouds in the skies. 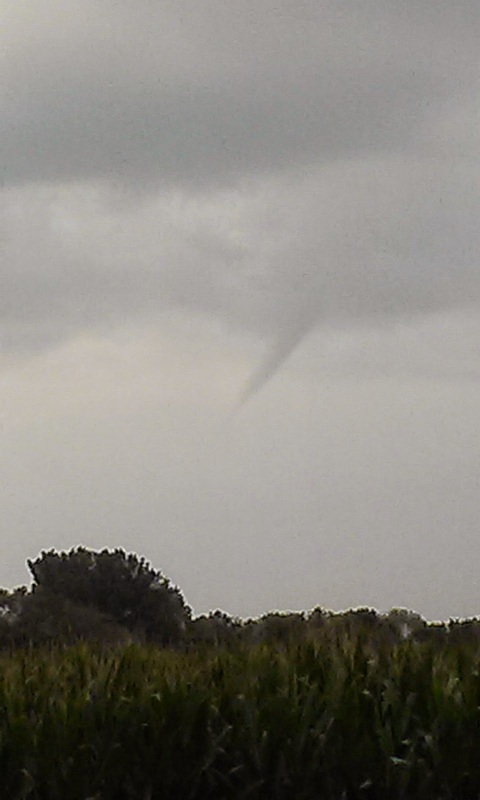 Here are a few of the pictures we received. 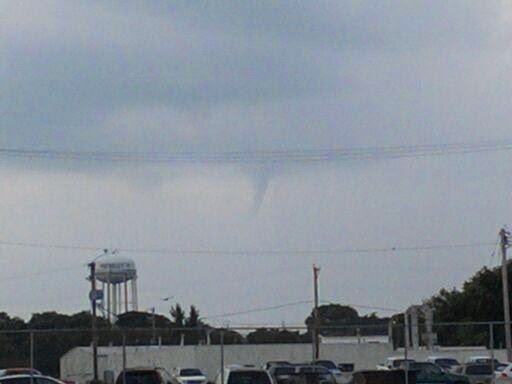 Most of which occurred near Rochelle and in DeKalb County. The main reports out of these storms were some quarter sized hail near the Rockford area, along with rainfalls exceeding an inch in just a few hours time span.